THOMAS JEFFERSON. Document Signed as Secretary of State. 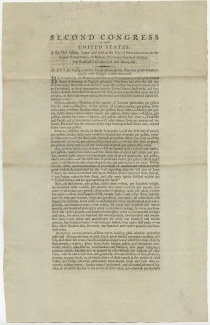 An Act for raising a farther sum of Money for the Protection of the Frontiers, and for other Purposes therein mentioned. 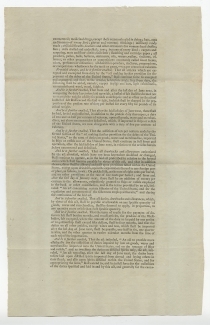 May 2, 1792, [Philadelphia]. 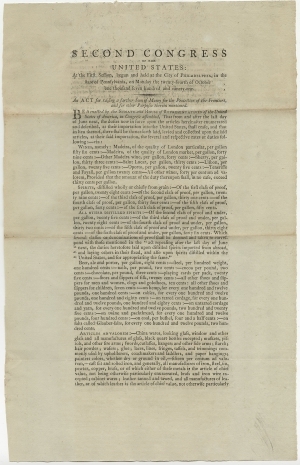 Signed in type by George Washington as President, Jonathan Trumbull as Speaker of the House of Representatives, and Richard Henry Lee as President pro tempore of the Senate. 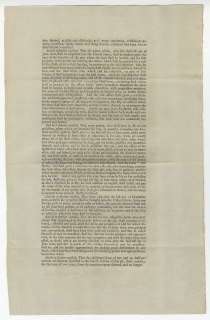 4 pp., 9½ x 15 in. 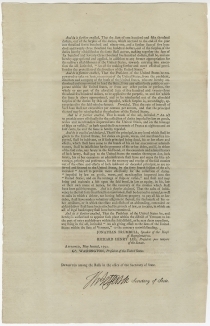 Kentucky was not admitted as the 15th state until June 1, 1792, so Jefferson very likely signed only 28 copies of this Act. Of those, this is the only Jefferson-signed copy known in private hands, with the Huntington Library holding the only located institutional copy.